maria somikovacs megosztott veled egy videót a YouTube-on. 528 Hz love frequency based meditation; with a Schumann resonance, binaural entrainment vibration rate of 7.8 Hz. This track has Solfeggio frequencies 63 Hz, 174 Hz, 285 Hz, 396 Hz, 417 Hz, 528 Hz, 639 Hz, 741 Hz 852 Hz and 963 Hz. 528 Hz is the love frequency and is used as the undercurrent binaural drone at the speed of the Schumann resonance for this meditation. 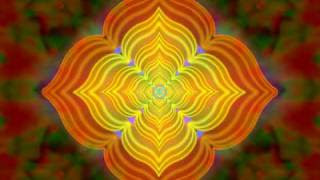 This music has the power of throat overtone singing in 63 Hz and 147 Hz and is accompanied with the main solfeggio tones for a great Chakra balance focus. The atmospheric background gently sweeps like the sands of time and is enhanced by Tibetan chimes and pure solfeggio tones, strings and synthesizer. For the additional effects of unison therapys binaural Theta brainwave entrainment listen with stereo headphones. The Schumann Resonance (7.8 Hz) has been called the Earths heartbeat, because every living thing has grown up with this pulse or tone going on in the background. In fact, not having it can cause physiological problems, as NASA found out when monitoring astronauts in orbit. Now, there is a frequency generator on each space craft to mimic the heartbeat. Binaural Beats are a scientifically proven brain entrainment process that slowly started to gain recognition after an article called, Auditory Beats in the Brain, by Dr Gerald Oster, was published in the October 1973 edition of Scientific America. Binaural beats work by sending two different Hz frequencies, to each ear via stereo headphones causing the left and right Brain hemispheres to work in unison to hear a phantom frequency or third tone, the centred Hz difference between the two tones. The Hz separations cerate a constant gentle beat and its timing and pulse match the Hz separation per second. The binaural beat process can be used to stimulate altered states of consciousness by selecting binaural beat patterns to mach a desired brainwave. After a few minuets of listening and calculating, the brain starts to mach this binaural beat; because of a process called frequency follow response. In reality a binaural beat is not heard as true sound in the headphone environment, it is more like a neurological signal perceived within the brain by both brain hemispheres working in unison. The neural synchrony stimulated by binaural beats is a major aspect that assists the brain to function at a higher level. The brain continually forms new connections following new experiences. The quality and strength of neuronal connections can vary according to the input received by the brain. Binaural beats in the Alpha, Theta and Delta range provide a continuous relaxed input and promote healthy rewiring through its audio neurological signal calculation. These new audio experiences in the brain trigger a burst of new connections between neurons, and with repetition these new neural pathways become fit, just like going to a gym, and it is the fittest connections in our brains that survive. The binaural beat process is faster, easer and more than just meditation and after several weeks the brain becomes more lateralised and starts to form permanent relaxed memories in both hemispheres. The brain doesnt become dependant on binaural beats for relaxation, over time, it actually becomes more resilient to stress and this process continues to develop further, when more binaural stimuli is received by the brain. Furthermore, as the synchronized hemispheres and neurons develop, greater personal awareness and insight follows, combined with greater stress resilience; makes binaural beat therapy a valuable tool in counselling and other therapeutic settings. Binaural beats are excellent for developing higher states of consciousness and going beyond meditation.